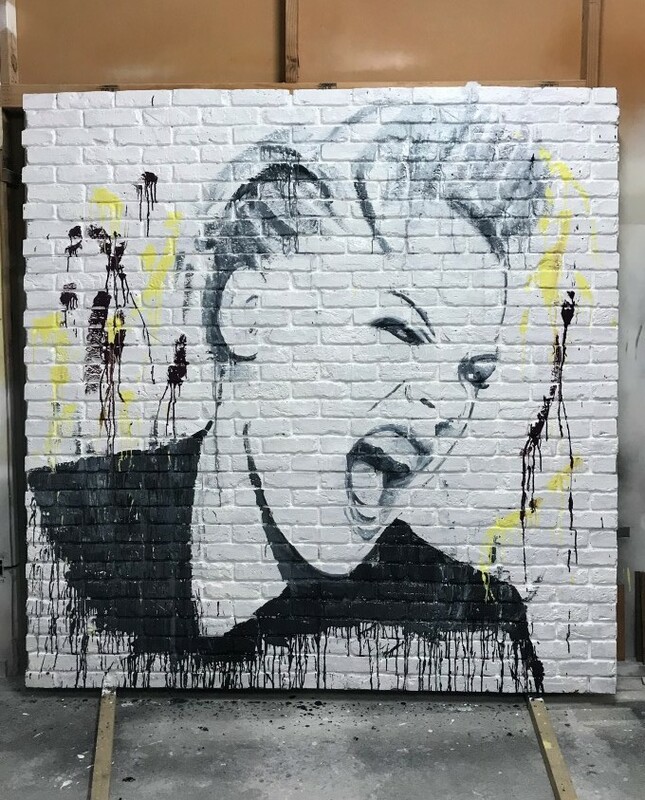 Following on from the Ed Sheeran mural, a Dunedin mall will be graced with one of pop superstar Pink ahead of her Dunedin show. Dunedin artist Jon Thom was commissioned to paint the work on a faux brick wall by Wall Street Mall, which will be unveiled inside the complex tomorrow morning. Pink will bring her Beautiful Trauma Tour to Forsyth Barr Stadium on Saturday. Wall Street Mall marketing coordinator Nathan Frisby said the idea came after the success of the city's Ed Sheeran mural in Bath St.
"We were thinking 'what are we going to do for Pink?'. "Obviously everybody's seen the success of the Ed Sheeran mural and how viral it went. We thought, Pink is an awesome musician, so we'd do a similar sort of marketing campaign." They came up with the idea of commissioning a local artist and Thom agreed. The work will be displayed in the mall and some time after the show will be auctioned off. Funds will be donated to Women’s Refuge Dunedin. Although the mall is owned by the Dunedin City Council, mall management says the funds for the mural came from retailer contributions. Wall Street Mall would not reveal the cost of the work. Thom said the commission was a good opportunity, but he was not in the singer's "target market". "It's good to get work out there, but it's my job as well." The canvas was about 3m by 3m and the work was made from paint, charcoal and pastel.